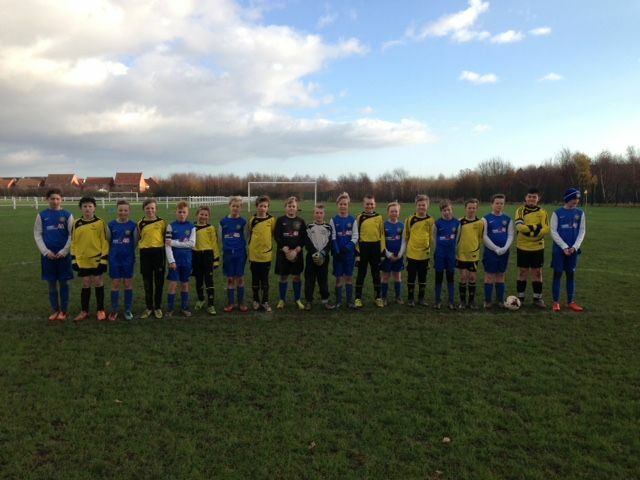 Stockton Town Under 11’s Blue and Spaire Lads Elite in their remembrance photo at Bishopton Road West today. 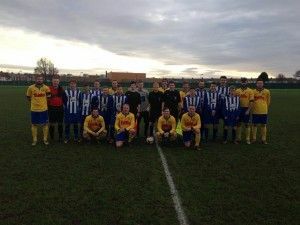 Stockton Town 1st Team and Hartlepool FC before their Wearside League Fixture at Greyfields Enclosure, 6th December 2014. A special website has been launched to display the images from the Football Remembers commemorative activities, which begin on Saturday 6 December. From 6-14 December, teams across the country, at all levels, will be marking the special anniversary of the Armistice Truce by posing for a combined pre-match photo to remember the solidarity shown on the battlefields 100 years ago. The images will then be stored and displayed on www.FootballRemembers.com. 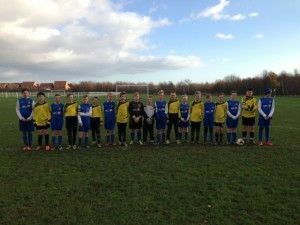 A joint venture by The FA, Premier League, Football League and the British Council – and supported by HRH The Duke of Cambridge – Football Remembers is a national commemoration to mark the centenary of the Christmas Truce. The stories of widespread, unofficial ceasefires across the Western Front in 1914 have been retold through generations, and remain one of the most poignant examples of humanity overcoming the most harrowing of circumstances. To mark the anniversary, every professional team in the Premier League, Football League, FA Cup – and all other levels of the game – will be posing for a joint pre-match photograph. 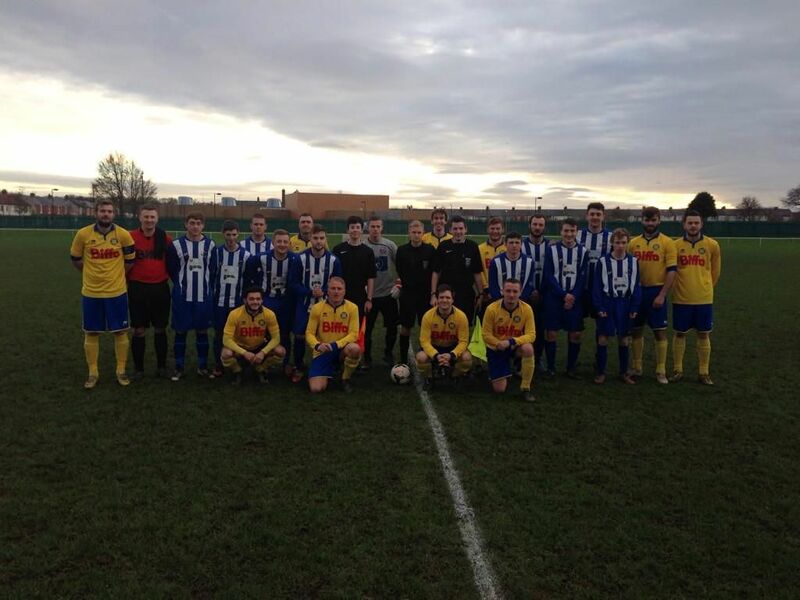 Here at Stockton Town we will post more photos of our teams in their remembrance photos as we receive them.